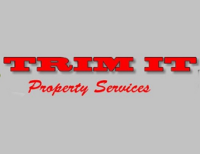 Trim it property services offer a reliable and affordable West Auckland garden and property service. If you're after a complete solution for your garden, section or property maintenance then Glen the owner can ensure a professional and personalised service. Whether you're looking for hedge and tree trimming, general gardening, section/exterior clean ups or landscaping, we can do it all. With over 7 years of experience, we have the knowledge and expertise to provide a dependable and flexible service to your rescue your garden. Or visit our website by clicking the link above.